That is stunning. 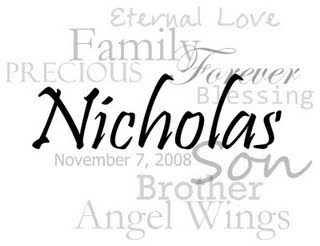 Such a beautiful tribute to Nicholas. Beautiful. Franchesca contacted me and did one for both of my boys, they are amazing. I beyond adore this. What an incredible gift. This is simply beautiful. Thank you for sharing it with us! The collage is beautiful!!! Franchesca does a wonderful job!